B.J. Penn’s team has released a statement in the wake of abuse allegations levied against Penn by his estranged girlfriend. On Wednesday, news surfaced that Shelean Uaiwa, the mother of Penn’s children, had filed for and been granted a restraining order against Penn that extends until 2021. In a court filing first reported by MMA Junkie, Uaiwa claims that Penn had verbally, physically and sexually abused her for years. Penn, a UFC Hall of Famer, has not been arrested nor charged with a crime. 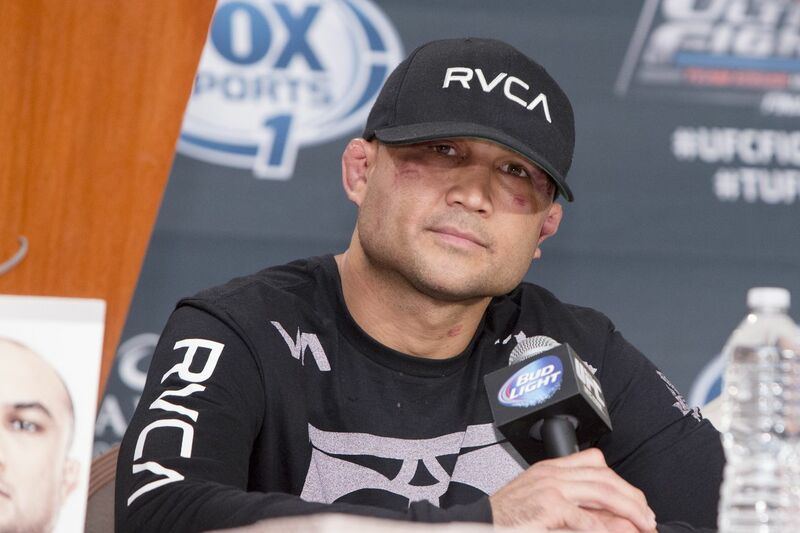 Penn’s team released a statement Thursday, via his BJPenn.com website. Penn, 40, is scheduled to fight Clay Guida at UFC 237 on May 11 in Brazil. The UFC has not returned a request for comment on this matter. Penn was inducted into the UFC Hall of Fame in 2015. A former two-division UFC champion, the Hawaii native is regarded as one of the top fighters in the history of the sport.